nice, the far end should be blured no? Very nice. A Clean, sharp image. Nicely composed, and I like that the fence you have chosen is nice and clean and bright. I think the image could use an overall increase in brightness, saturation, and contrast. Nice lines, great comp, and more natural colors!!! (Yay!!!) A very nice balance of contrast and overall imagery. Very nice, I like this alot for this challenge. Time of day may have helped, too. I can see how too much sun might be too much for an image like this, with the white fence and all. 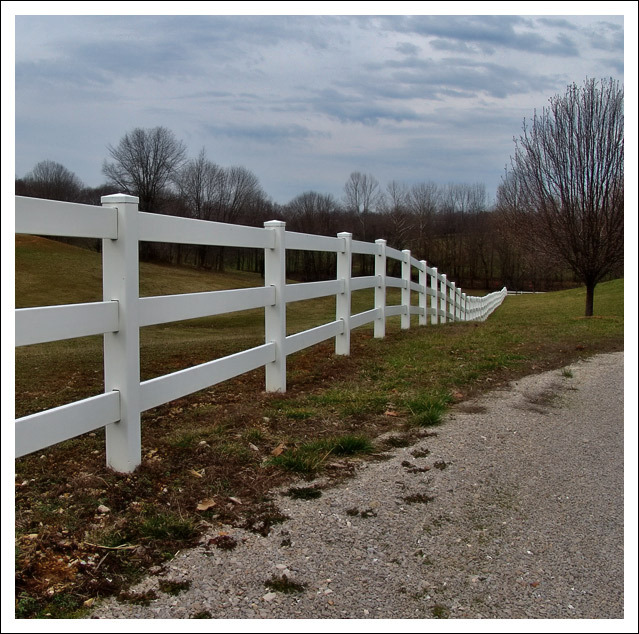 what a nice clean white fence! the shot looks a little dull/dark...maybe a histogram adjustment would lighten it up a little. This is a lovely shot. Wish it were a little brighter with more contrast though. Proudly hosted by Sargasso Networks. Current Server Time: 04/20/2019 12:22:58 PM EDT.